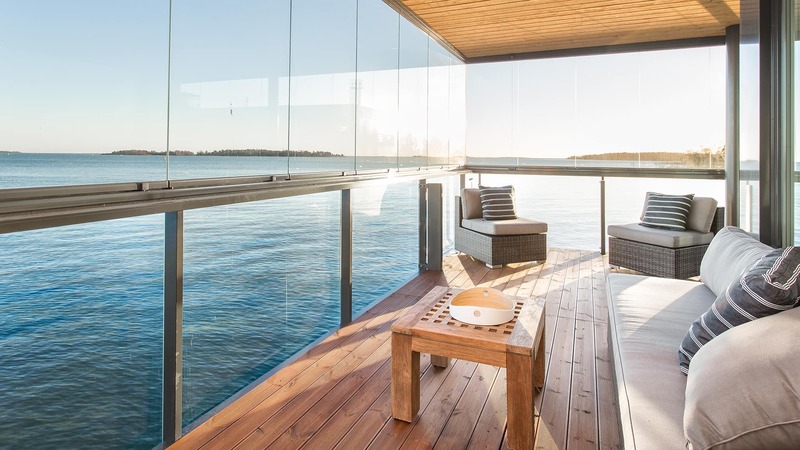 A new gorgeous home from Lauttasaari, above the sea! The seventh and latest arrival of Merenkulkijanranta is the most maritime so far. The west end of Jaakari stands on a cliff and the east end reaches the farthest to the sea with its strong legs. Spectacular views open unobstructed in the south to Pihlajasaari and the open sea, and in the east to the city and the silhouette of Jätkäsaari. Last chance! There is still one gorgeous home with scenic views available in Jaakari. The apartment has 4 bedrooms, a spacious family room, a gorgeous kitchen, a stunning sauna department and two spacious, glassed-in balconies with views to the sea. The luxury living comfort of the home includes the cooling of incoming air and in-floor heating both adjustable room by room, as well as a broadband Internet connection of 2/2Mb included in the maintenance charge. Now you have a one-of-a-kind opportunity to live in an environment which is rarely available in Helsinki. Explore the material and contact YIT Homes sales. Loan period 25 years, of which for the first two years you pay interest only. Repayments start in the third year.